Our objective: To develop systems that enable off-grid households and communities to access affordable and reliable renewable electricity. IC2’s second international meeting will take place March 1-2, 2019 in New Delhi, India. Leaders and visionaries from government, the scientific community, and the private sector will look at the entire value chain in a holistic way and will speak about and debate the development of these complex changes. The results of the Calls for Proposals from India and France on Off-Grid Access to Electricity were announced at the third Mission Innovation Ministerial in May 2018. According to the IEA World Energy Outlook 2015, an estimated 1.2 billion people – 17% of the global population – did not have access to electricity in 2013. On average, these families spend between 1 and 2 USD/week just for lighting, using fossil fuels. The same IEA report identified 635 million people in Africa without access to electricity, and the World Bank estimates sub-Saharan Africa spends USD 10.5 bn/year on candles and kerosene for lamps. In other regions, isolated communities, for example on islands or in remote areas, are not connected to a large electricity grid and rely on often ageing diesel powered generators. Research and development (R&D) is needed to bring down the cost of these solutions and enhance the range of energy services they can provide, either to equip people with no access or to modernize existing systems by switching to renewable energy. In the short term, innovation on components (inverters, storage, remote monitoring and control…), efficient appliances, and systems design and optimization may reduce the cost of delivered electricity to consumers, meeting an increasing range of needs with payment options matching affordability. In the longer term, breakthrough technologies on storage could be incorporated into the systems to provide an even greater range of services to communities in order to support new economic activities enabled by electricity availability, for instance in the field of digital economy. Access to affordable, fossil-free electricity for rural and urban households is a major challenge at the global level and is identified as one of the UN’s sustainable development goals. Several international programs and institutions are involved (e.g. SE4All, Development Banks). 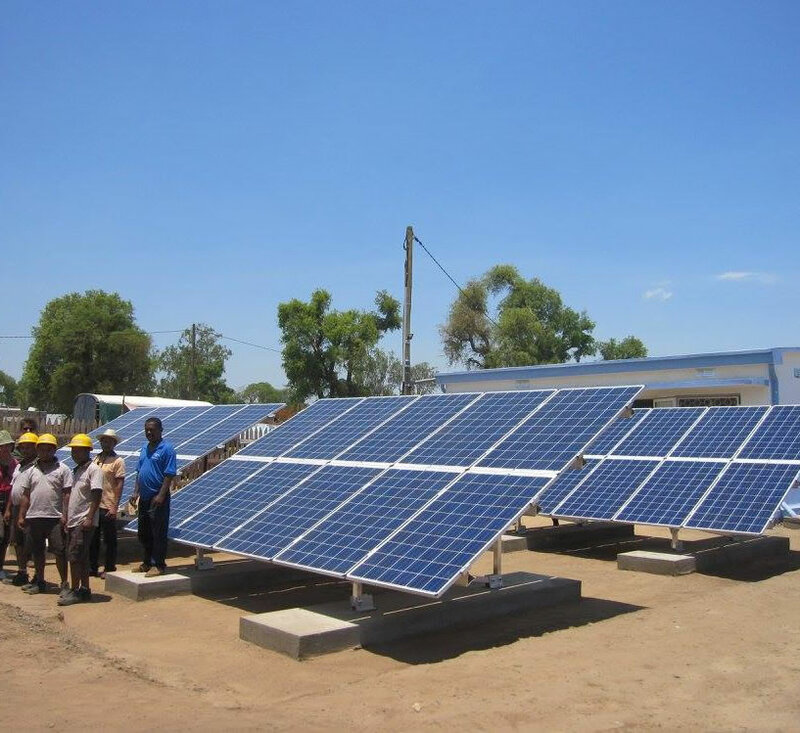 While many R&D programs conducted in Mission Innovation countries aim at developing the performance of renewable electricity production and management (PV, wind, storage, smart grids…), few public innovation programs are targeting the realisation of affordable small-scale systems at very low cost. Beyond greenhouse gases emissions reductions, the outcome sought is an energy system in which uninterrupted supply becomes the expectation rather than the exception. In terms of economic growth, this translates into increased productivity in the economy and a major boost to economic activity. The IEA (WEO 2014) estimated that reducing power outages by half and achieving universal electricity access in urban areas would boost the size of the sub-Saharan economy by 30% in 2040 (an extra 230 million people would gain access compared with the main scenario). Every 1 USD invested in the power sector generates more than 15 USD in incremental GDP. 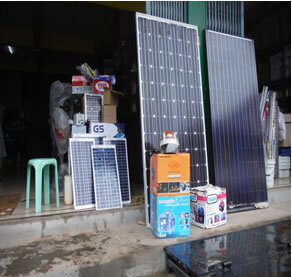 Figure: PV generators are now sold in hardware general stores in remote areas as well as diesel generators (here in Kengtung, Myanmar) but systems including storage and inverters are still too costly and not reliable enough. Photo: Francois Moisan. To achieve these challenges, broad support for research and innovation to adapt the current generation of renewable energy technologies, or to develop specific solutions, is needed. Technology innovation needs include renewable sources integration, storage and smart small-scale grid management technologies (e.g. systems safety, reliability and scalability, interoperability between grid components to allow demand growth, smart and integrated control, etc.) and efficient DC appliances. Beyond technology, local implementation conditions should also be addressed, such as limited access to skilled labour and infrastructure financing, and so include innovation on installation, operation and maintenance, standardization issues and business models that allow a sustainable deployment. For individual homes, the objective is to reduce significantly over the next 5 to 10 years the price of renewable power systems for lighting and communication device charging, while expanding the range of services deliverable on household systems. For remote communities, the objective is to demonstrate, over the next decade, in diverse geographic and climatic conditions, the robust, reliable and autonomous operation of renewable power systems up to 100 kilowatt at a significantly lower cost than today. Experts from different Mission Innovation countries will be brought together in 2017 in order to identify and agree specific research and innovation needs for the different scenarios targeted in the Challenge (isolated households/communities with a range of uses and demand levels), and to determine a series of collaborative activities that will be pursued (such as an international contest on innovation on these solutions).